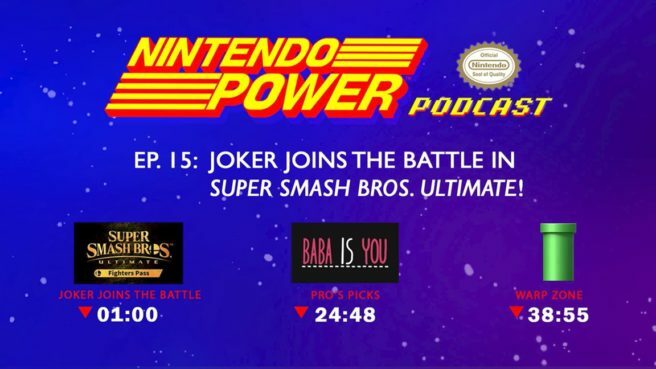 The latest episode of Nintendo Power podcast is now live. Host Chris Slate, along with guests JC Rodrigo from Nintendo Treehouse and Joe Bustos from the Nintendo of America social team, discuss Joker’s appearance in Super Smash Bros. Ultimate and more.